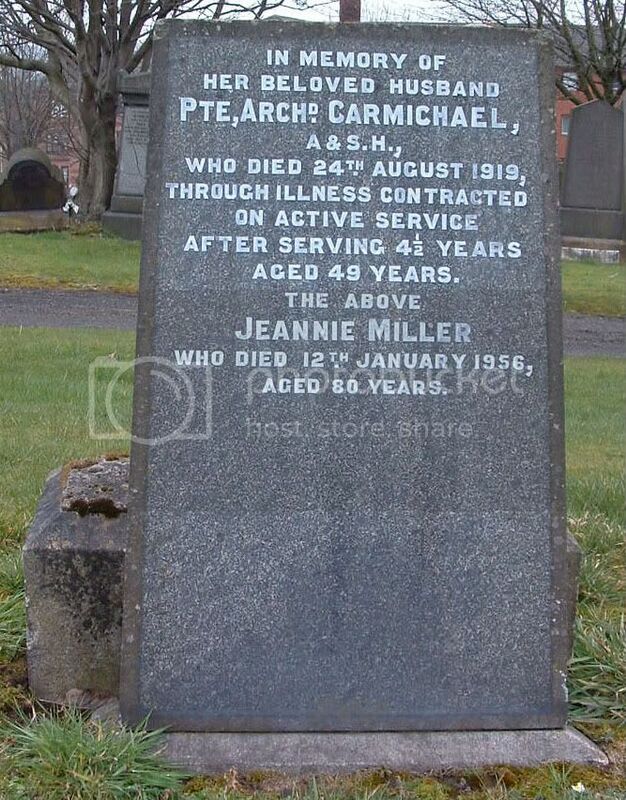 Additional information:	Son of James and Agnes Carmichael; husband of Jeannie R. M. Carmichael, of 6, St. Andrews St., Glasgow. 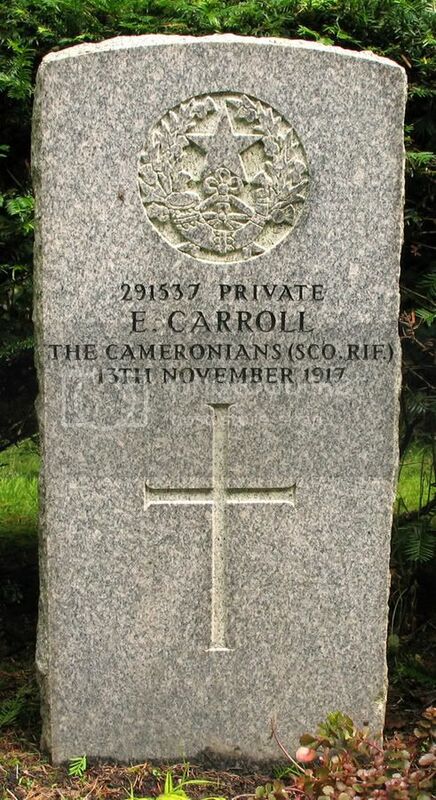 Born at Glasgow. 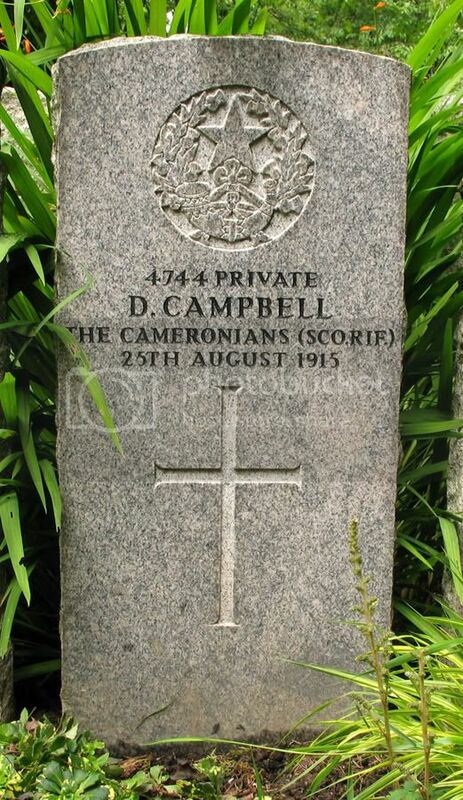 Alternative Commemoration - buried in Glasgow (Sighthill) Cemetery. Unit Text:	H.M.S. "Armadale Castle." 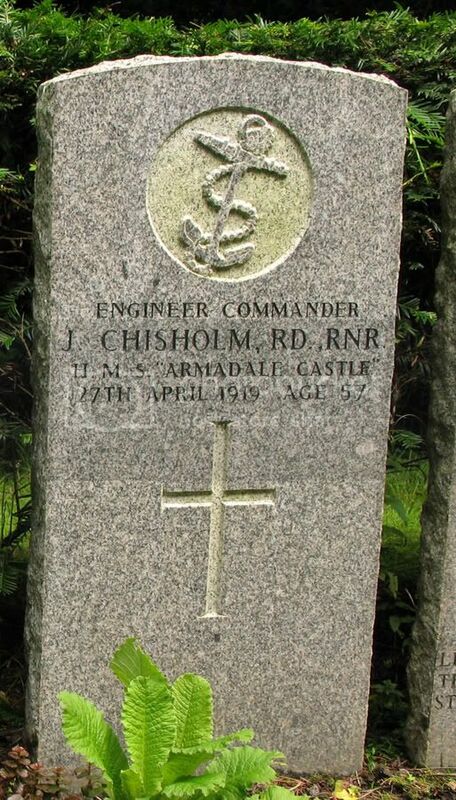 Additional information:	Son of James Hutton Chisholm and Elizabeth Chisholm; husband of Marion J. Chisholm, of 419, Great Western Rd., Glasgow. 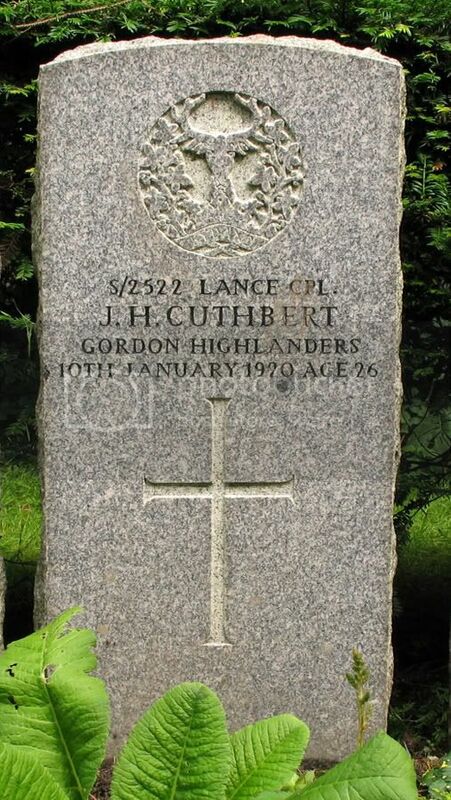 Born at Glasgow Served in the South African Alternative Commemoration - buried in Glasgow (Sighthill) Cemetery. 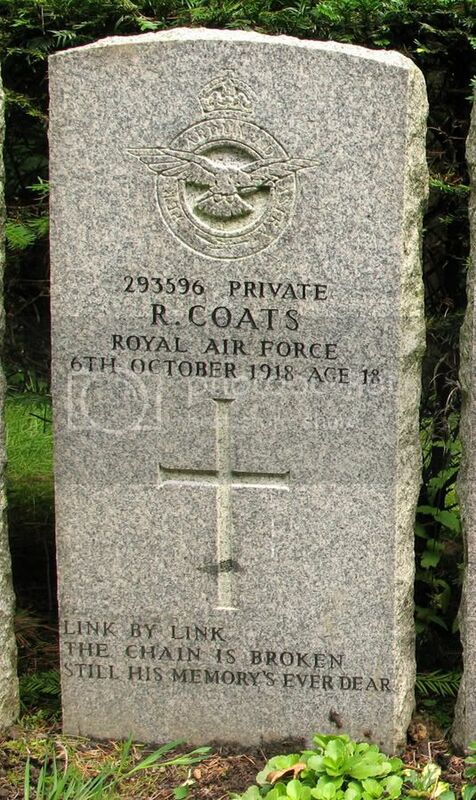 Additional information:	Son of Thomas and Jane C. P. Coats. of 226, Castle St., Townhead, Glasgow. 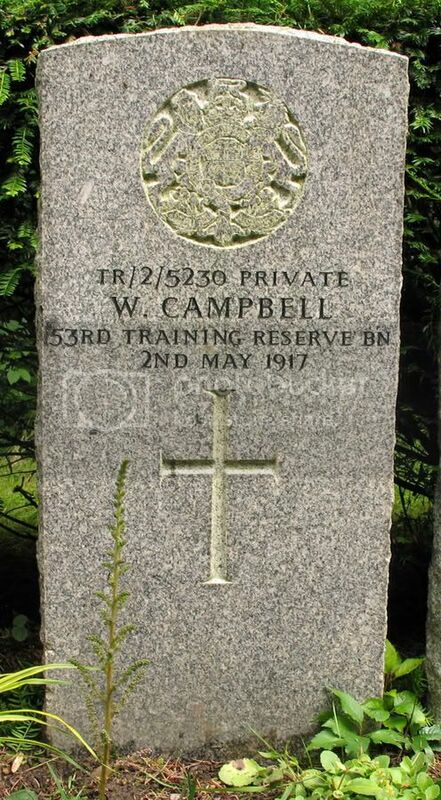 Alternative Commemoration - buried in Glasgow (Sighthill) Cemetery. 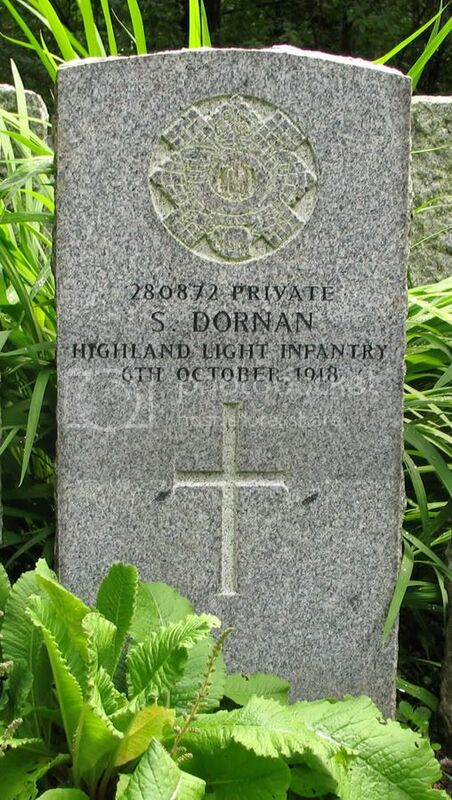 Additional information:	Son of William Waddell Cochrane, of 28, Downs St., Spingburn, Glasgow. 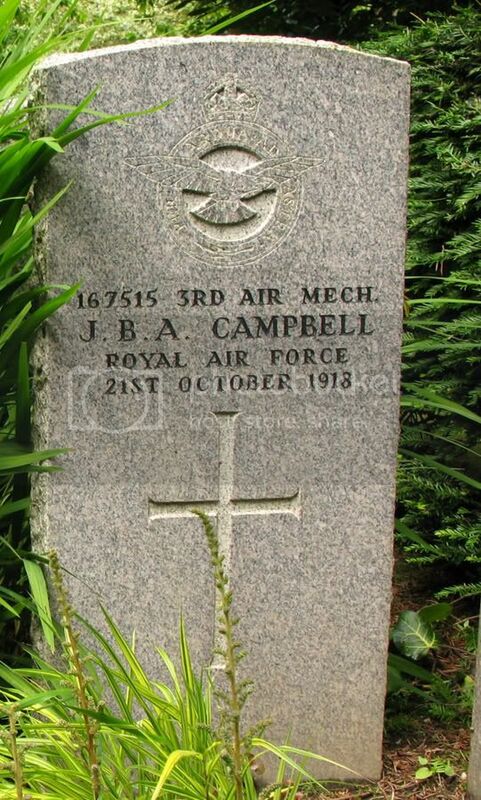 Alternative Commemoration - buried in Glasgow (Sighthill) Cemetery. 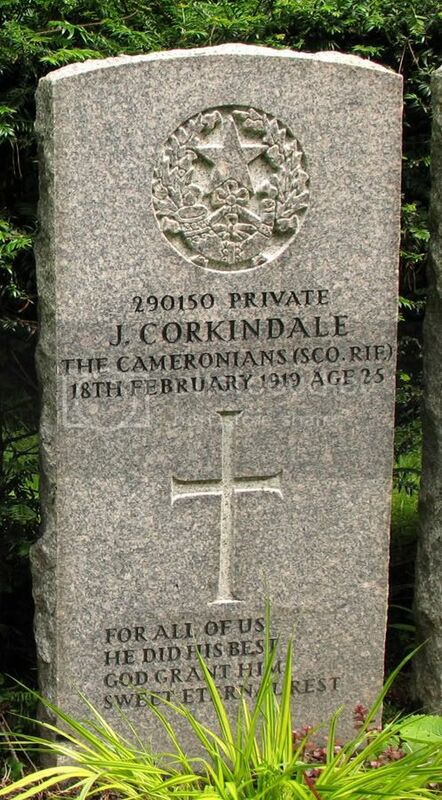 Additional information:	Son of Peter and Ann Corkindale, of O, Renfrew St., Glasgow. 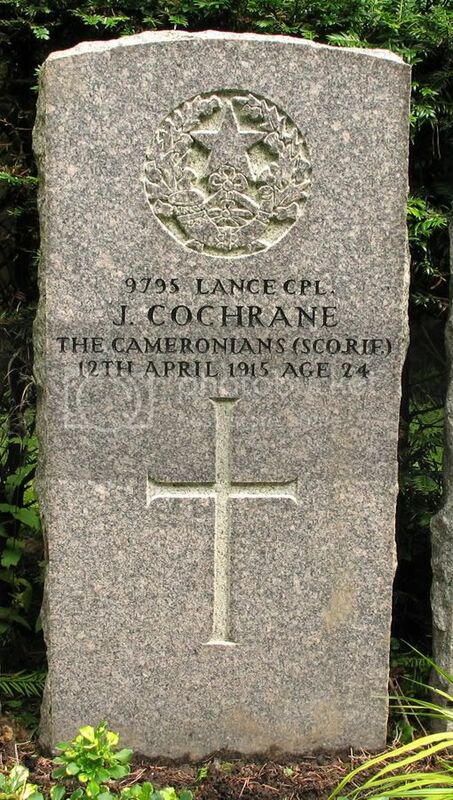 Alternative Commemoration - buried in Glasgow (Sighthill) Cemetery. Secondary Unit Text:	transf. to (57090) 103rd Bn. 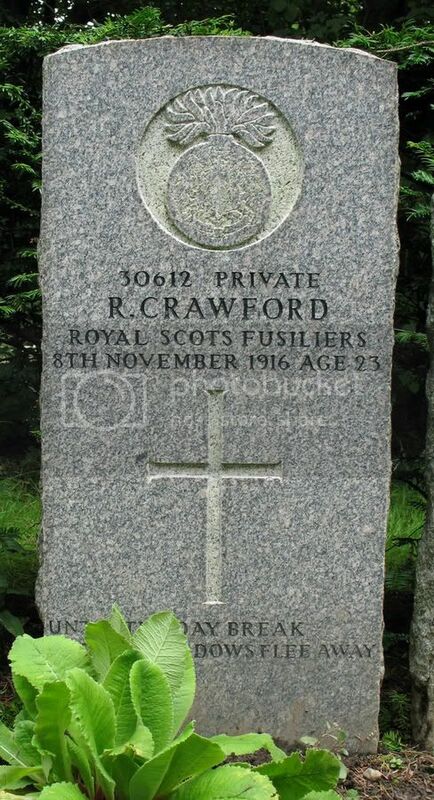 Additional information:	Son of the late John and Cecilia Clachril Crawford. 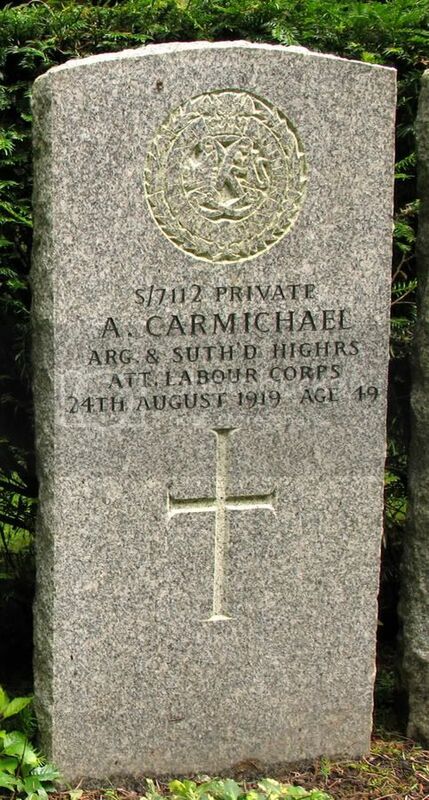 Alternative Commemoration - buried in Glasgow (Sighthill) Cemetery. Additional information:	Son of David Cuthbert, of 97, Petershill Rd., Springburn, Glasgow. 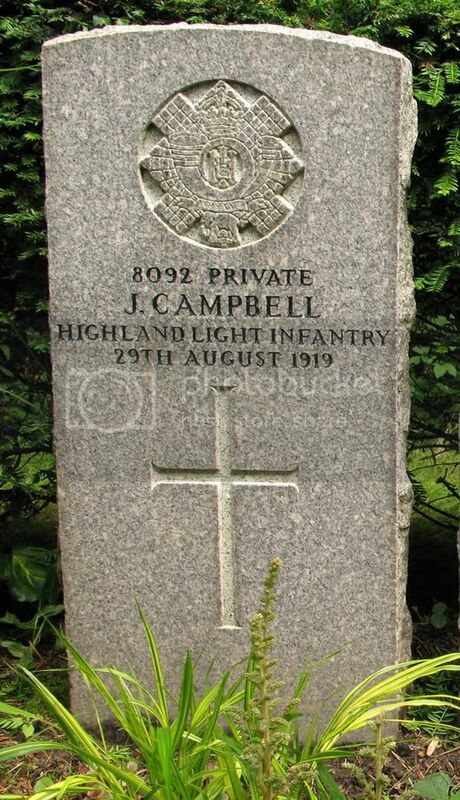 Alternative Commemoration - buried in Glasgow (Sighthill) Cemetery. 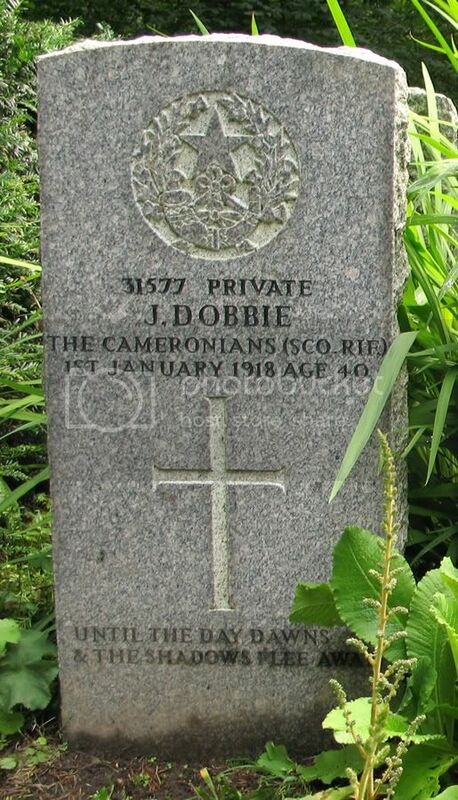 Additional information:	Son of Robert Dobbie; husband of Jeanie Dobbie, of 134, Earlston Avenue, Townhead, Glasgow. 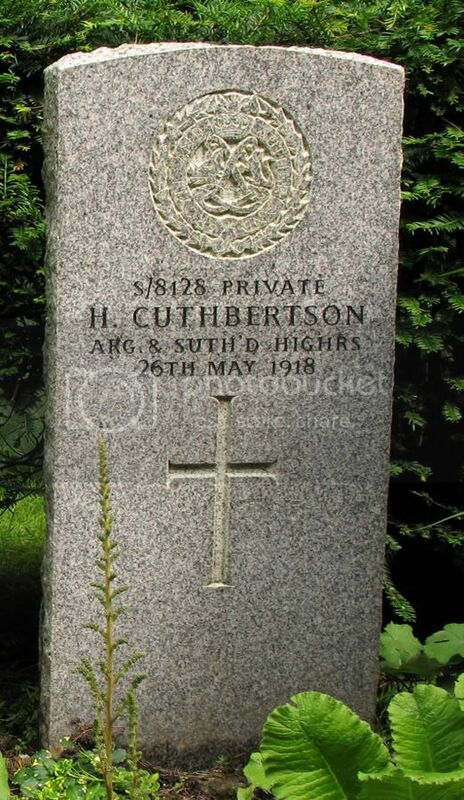 Alternative Commemoration - buried in Glasgow (Sighthill) Cemetery.